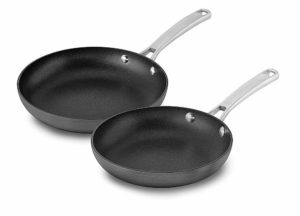 If you have been looking for a new set of pans, check this deal out! You can get the Calphalon 2 Piece Classic Nonstick Fry Pan Set for only $29.99 right now on Amazon! That is a savings of 40% because this fry pan set is normally $49.99! Make sure that you snag this deal soon because the prices can change at anytime on Amazon! CLICK HERE TO ORDER the Calphalon 2 Piece Classic Nonstick Fry Pan Set for only $29.99 today!